"I am trying to use a button to add a link that does not begin with http:// but that is added automatically to either a button or a link w..."
Katie Frassinelli replied to the discussion Printing PDF from Rise? Katie Frassinelli replied to the discussion What's the purpose of the RISE checkbox lists? "Great idea Stephen! I could definitely use a checklist feature where a user could check items off as they complete them and then either p..."
"I agree that it would be great to be able to remove or at least shrink the header. It's really huge." "Yes, that's what I'm referring to. I'd love to be able to tell the user they got it wrong without giving away the answer. " "I would love this feature too!" "Ashley you made my day! I'm going to try it out now." "It also seems to work if you modify the appearance before you add the link-- it keeps the formatting even after you turn it into a link." "So, I just want to make sure I understand how it will work because this is really an essential feature for us. Could I use quizzes basica..."
"Fantastic list! My #1 priority (by far) is to be able to stop a user's progress until a knowledge check or quiz is answered correctly. Af..."
"Add a block below the interaction block (flashcards, etc.) with a CONTINUE divider. Edit the settings of the divider and choose "Complete..."
"Ashley, is the new feature going to be applicable to Knowledge Checks, the Quiz, or both?" Katie Frassinelli replied to the discussion Print from Rise? "Chiming in with "Yes, we need to be able to print courses!" so I can get notifications on this thread. Thanks!" "I figured as much but thought it was worth checking. You can't fault a gal for trying! I know a lot of us really need this feature, so ad..."
"Hi Leslie, I just came across this post and have a question. It looks like this thread is about Rise, but I don't see how to do what you ..."
Katie Frassinelli replied to the discussion Is Articulate Review Down? "Thank you so much! And thank you for the instructions. I'll follow them next time. I appreciate your help! " "I am using both Chrome on Mac and IE on Windows (in Parallels). It was working yesterday but it got hung up trying to upload a new course..."
Katie Frassinelli started a new discussion Is Articulate Review Down? "My presentation library is not loading. Is the system down? If not, any troubleshooting advice?" Katie Frassinelli replied to the discussion Publish Multiple Courses to a Single CD/DVD? "Thank you so much for your detailed reply! That's just what I needed to know. Thanks so much! 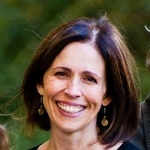 Katie"
Katie Frassinelli started a new discussion Publish Multiple Courses to a Single CD/DVD? "I want to be able to give a client a single disc that they can use to view multiple courses. Ideally they would see a menu/list with onl..."
"We should never underestimate the power of Microsoft to mess things up with their handy "features"!"